These pictures are taken, with my cell phone, in chronological order. 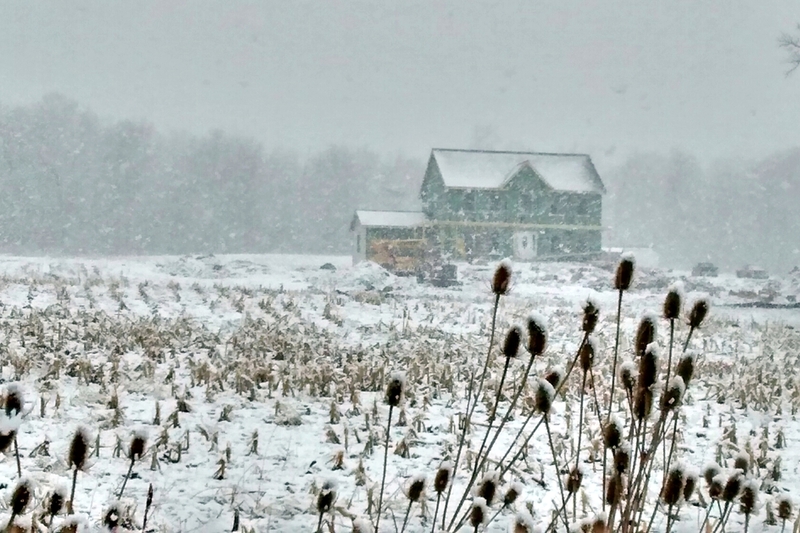 In spite of what some think was an interminable winter in Pennsylvania, I was struck by the passing nature of the snowstorm. This scene reminded showed me the ephemeral in several ways. The snow storm blew in and dropped three or four inches of snow. As this was the first day of spring (by the calendar anyway) I knew that it would not last long. The weeds in the foreground and the stubble in the field will give way to green in a month or less. The house has appeared over the last month or so. The construction phase will probable be over very quickly too. 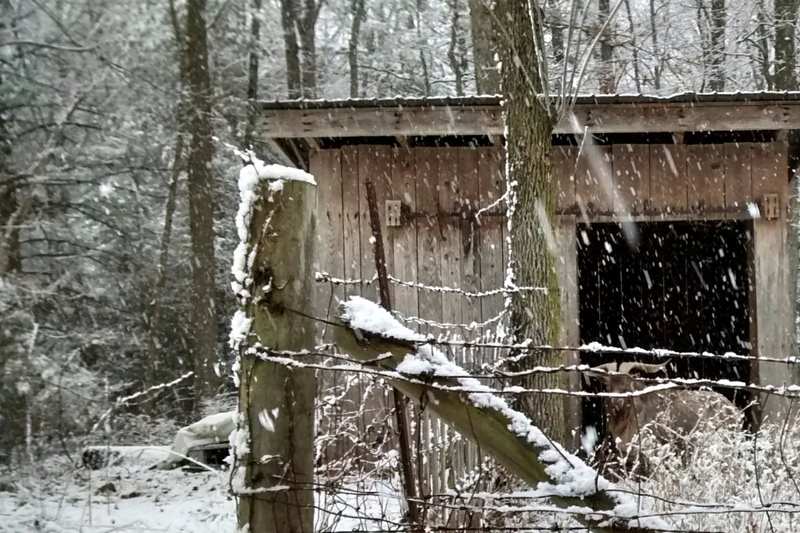 The same snow storm (or perhaps my nearness for the picture) brought the goat to the door of his shelter. The snow on the fence is another thing that quickly disappeared. This picture too will turn green quickly. 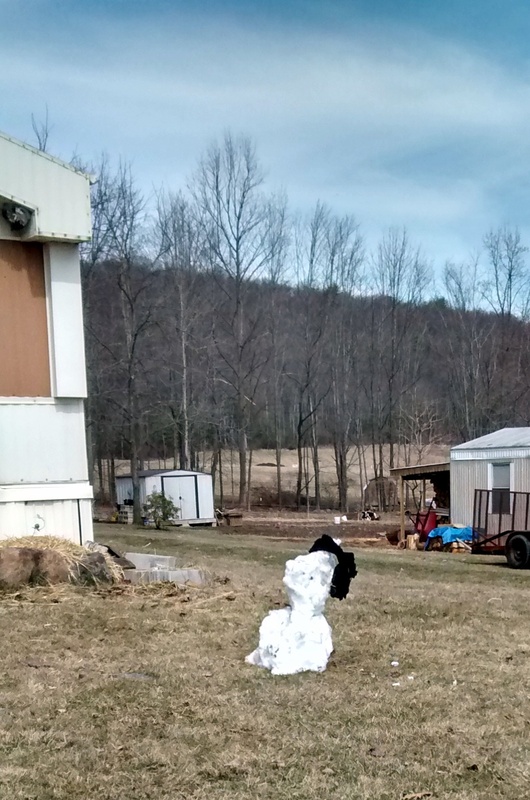 Forty eight hours later, the dejected looking remnant of a snowman is all that remains of the snowstorm. This post created for The Daily Post’s Weekly Photo Challenge. I like the wild teasel in the foreground of the top shot. I didn’t actually know what that was. Thank you for educating me.